Want the latest Zuke’s offers and news? Sign up for our newsletter! 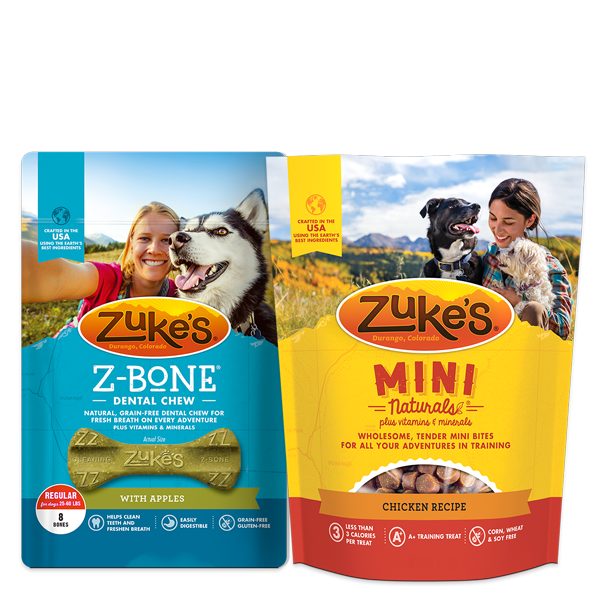 Your favorite dog is counting on you to be the first to know all things Zuke’s. 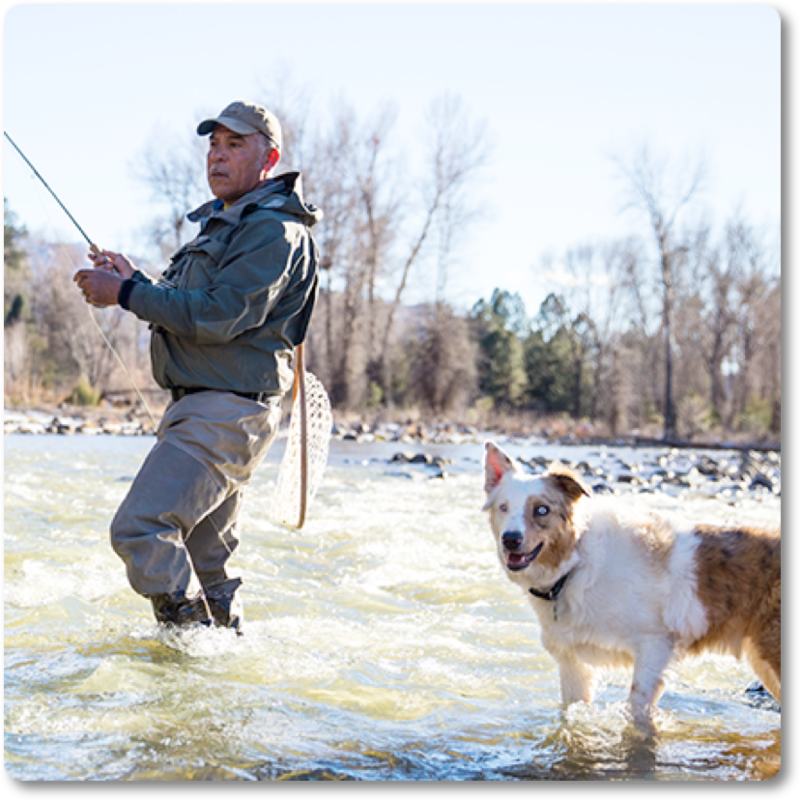 Sign up for our newsletter to get exclusive offers, enter giveaways, and read stories and tips from our Dog Blog. Fill out the form to subscribe to our mailing list! By filling out this form, I give Zuke's permission to send me news and updates.I acknowledge I can opt out at any time. 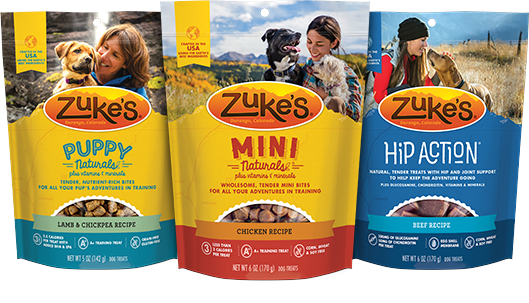 Our new packaging helps you find your Zuke’s and get out on the trail. Our new treats packaging has easy-to-navigate nutrition information, highlighted features and benefits, and color-coded formulas and families. 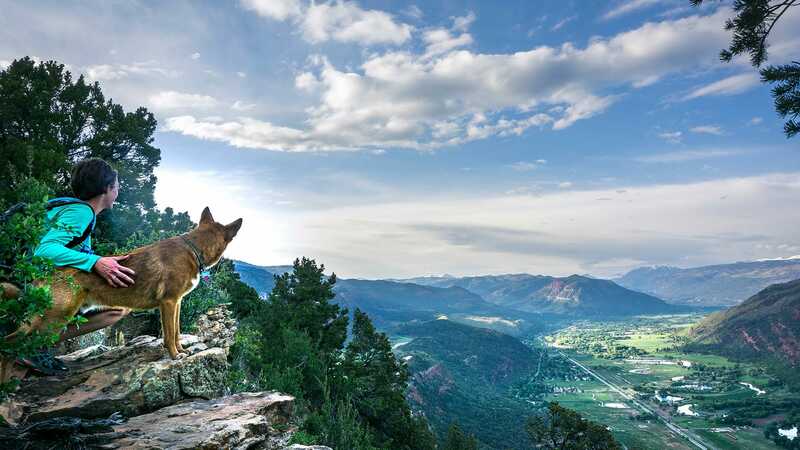 And they feature photos taken near Durango, Colorado where we were founded. We’ve also increased sustainability by reducing our pouch size by an average of 20% without reducing net weight. 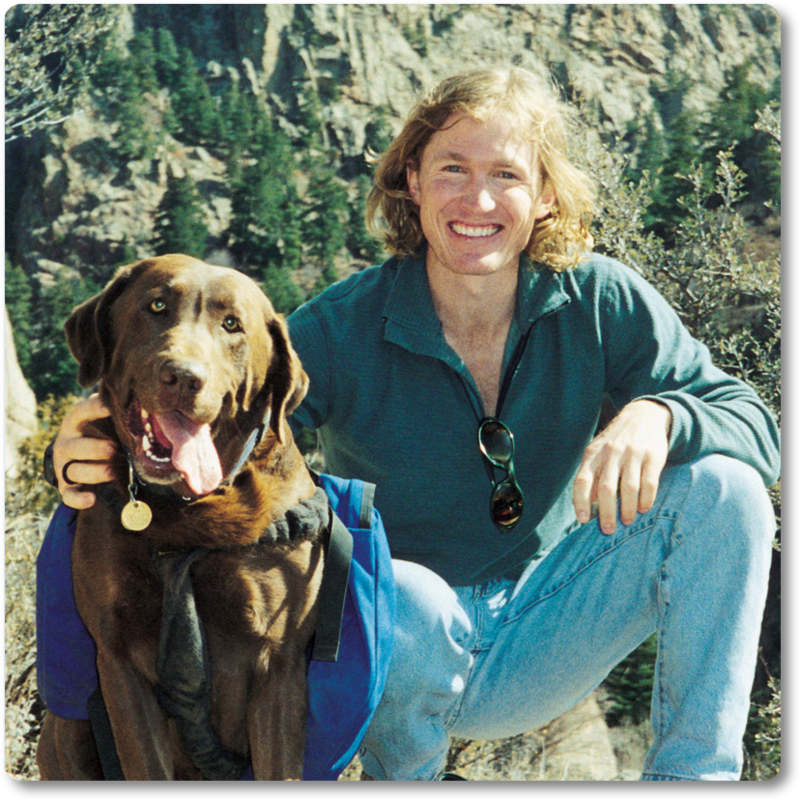 It all started with a guy named Patrick and his dog named Zuke. . . Discover how our journey began and learn more about our philosophy and values.